If you're interested in Davie FL Real Estate, Weston FL Real Estate, Plantation FL Real Estate, and other locations in Broward County, you'll find the tools you need to research your next move right here! In fact, you can find exclusive Point2 home listings on each of our community pages! Let the Broward Real Estate Team help you find your dream home in Davie, Weston, Plantation and surrounding areas. Call the Teri Arbogast Team, your Broward County real estate agents and property specialists! As a team, we cover a number of other communities in Broward County Florida, including Cooper City, Coral Springs, Miramar, Parkland, Pembroke Pines, Southwest Ranches, Sunrise and Tamarac. If you have or will have a student at Nova Southeastern University, we can also help you with NSU off-campus housing. And, if you're looking for a rental, don't miss our extensive list of Broward County rentals, including Davie rentals and Weston rentals. Take advantage of our Broward County home search to see all the homes that are listed in the County. And, don’t miss the opportunity to have New Listing Alerts sent to you automatically – you’ll be among the first to know as homes that meet your criteria come on the market! Finally, review 9 Helpful Hints for Buying Short Sale Properties in Broward County! Your first challenge is setting your home’s sale price. That’s an important task – if the price is set too low, you’re losing money. If you set it higher than comparable homes in your area, your home will typically be on the market for an extended period of time and often sell for less than it should. We can help you in Setting Your Price by providing a Free Home Evaluation. In real estate, experience counts. 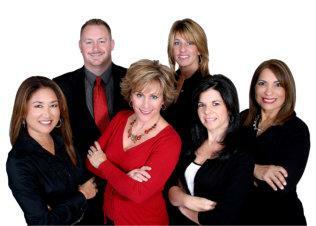 I’ve developed a team that represents the best in the real estate business. Learn more about Teri Arbogast and Her Broward Real Estate Team. Our experience, outstanding customer service, excellent marketing plans and strong negotiation skills will make your real estate experience a pleasant and profitable one. We look forward to putting our expertise to work for you! Visit our Davie FL Homes for Sale website, too! We value your privacy. The information you entrust to us will be kept confidential. Your contact information will never be sold to or shared with a third party. There is no obligation. Your telephone number is optional.